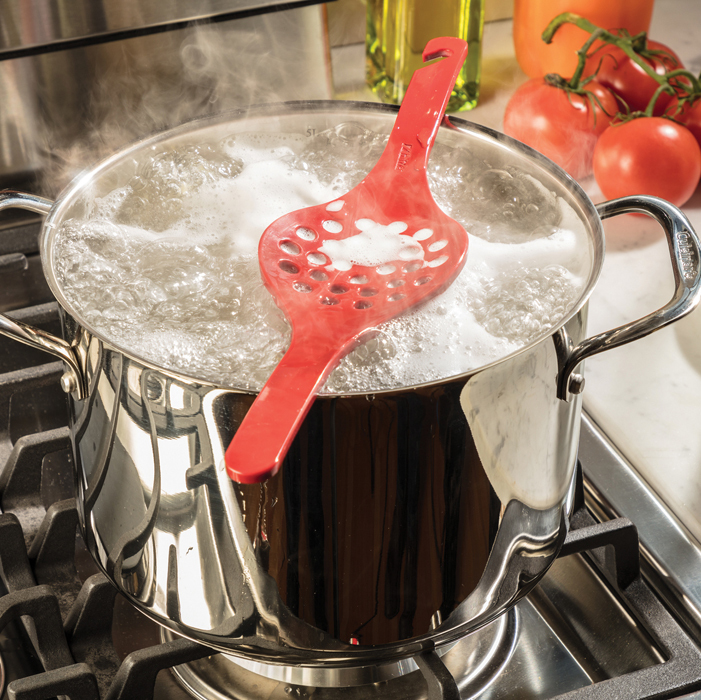 Prevent starchy foam from boiling over onto your stovetop when cooking pasta, oatmeal, potatoes, etc. 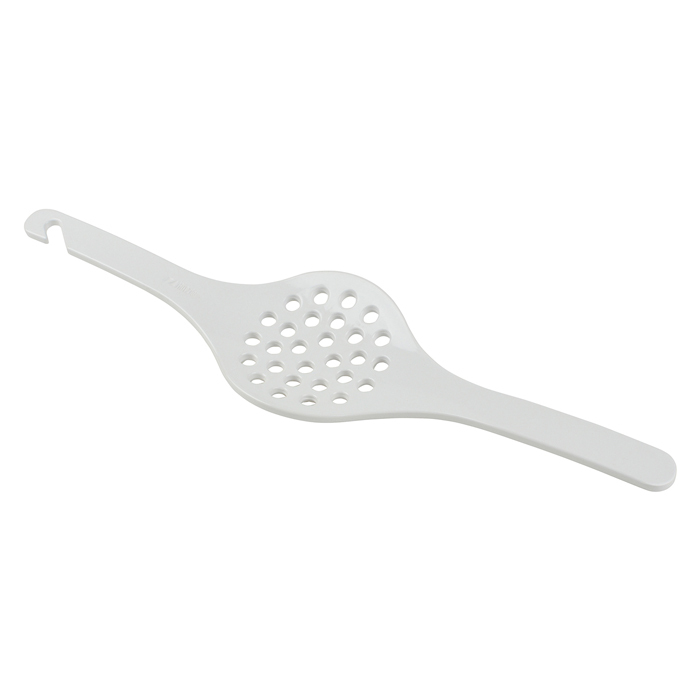 Simply place this piece over the top of your pot and it will stop the foam from boiling over. Also doubles as an oven rack pull! BPA free and heat resistant to 375°F. Dishwasher safe for easy cleanup.